There are over 50 galleries and alternative art spaces in the Bushwick neighborhood of Brooklyn. Some situated along the Bushwick-Ridgewood border, others at the edge of BedStuy, and many amid the heart of its industrial landscape. You can check the Bushwick Galleries website for current exhibitions and openings and watch for our weekly Top Art Picks to appear on Thursdays to help you navigate the weekend art scene. 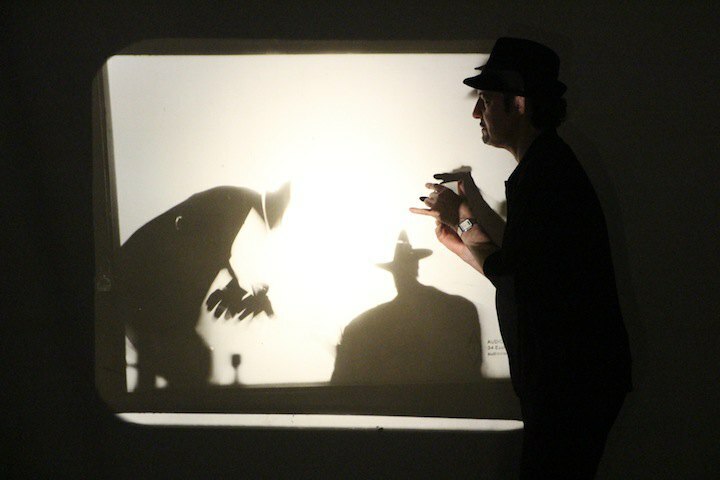 Artist and writer Paul D’Agostino has been curating shows out of his home gallery Centotto since 2008. Within Centotto, a range of creative gatherings take place from studio visits (Interstizio—gatherings for artists to bring recent works and "expand the dialogue or thematic framework of a current exhibition") to portfolio shows (Portfolio x Appunti—exhibits that "focus on one artist whose exhibited portfolio is variably mediated by a 5-tiered framework of specific visual and written notes"). Coming up this fall Centotto is collaborating with Theodore:Art and London-based Sluice_ to produce Exchange Rates: The Bushwick Expo, October 23-26. 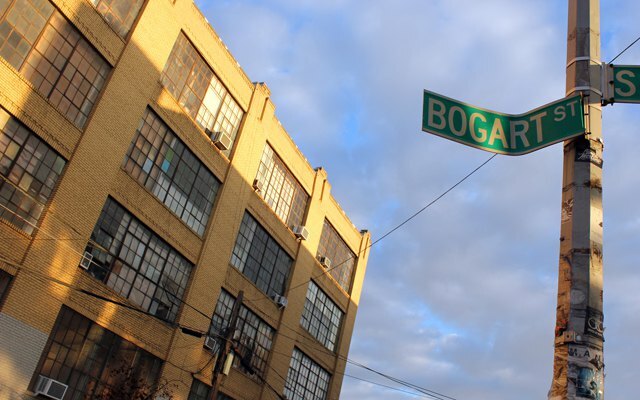 One of Bushwick's major hubs for gallery hopping and visiting artist studios, 56 Bogart aka "The BogArt" is home to the activity of Momenta Art, Fuchs Projects, NURTUREart, Theodore:Art, Fresh Window, Robert Henry Contemporary, Slag Gallery, Studio 10, Honey Ramka, Life on Mars, Mellow Pages and VUU Collective. This yellow-hued corner building is situated along the Morgantown Catwalk, serving as a beacon for the Bushwick art scene and drawing in art-goers from all over New York, year-round. A majority of these galleries are getting ready for October's Exchange Rates: Bushwick Expo weekend, which is being led by 56 Bogart's Theodore:Art with Centotto and London-based Sluice__. These past couple of years have been exciting times for OUTLET as space expanded under the triumvirate force of directors Jason Andrew, John Silvas and Julian Jimarez-Howard, bringing innovative New York artists together in its established storefront space. 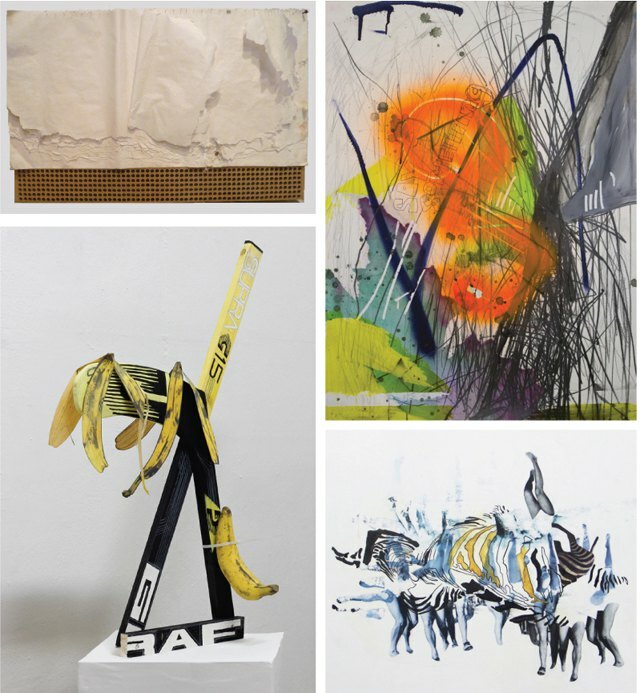 Jason, John and Julian's curatorial efforts have brought in the likes of Armenian-American painter Arshille Gorky alongside 30+ emerging Bushwick artists in June (presented by Jason Andrew's Norte Maar), and most recently "Colin Thomson: Plot Lines" and "Matthew Deleget: False Positive." Catch OUTLET's upcoming exhibitions during Exchange Rates: Bushwick Expo October 23-26 and "Natural Tendencies" opening in November. You've likely been to a live performance or video show at this intimate space which was located on the cozy side street of Charles Place, next to Little Skips. As of September 1st, Microscope Gallery has a new address off the Jefferson stop in Bushwick! Bushwick Daily told you back in July about Microscope's big feat to expand and bring more influential works to the community. 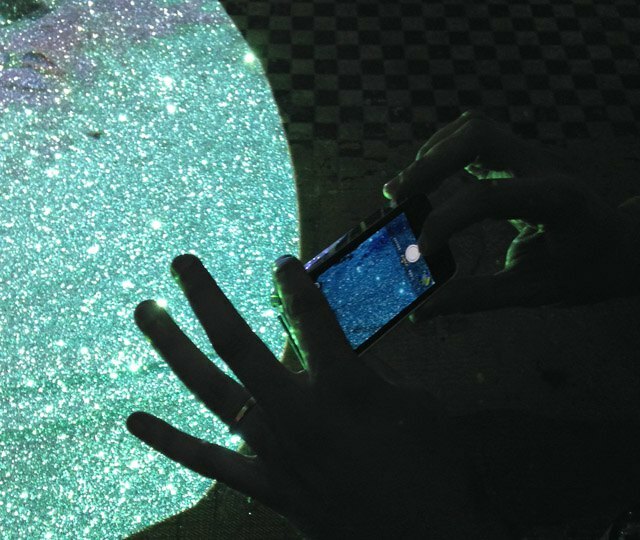 Now MICROSCOPE's Gallery Event Series will hold monthly exhibitions and weekly moving image, sound, performance, and other time-based events. Perhaps we'll witness some more like Marni Kotak's "Baby X" performance!? Situated along the Buswhick-Ridgewood border, this gallery space is run by artists Lori Kirkbride and Nao Matsumoto, and acts as home to their studio spaces as well. In July Lorimoto throws the annual Hancock Street Block Party, and plays an active role in Bushwick's Beat Nite and Bushwick Open Studios events. In April Bushwick Daily caught their dynamic group show "Undefined By Design" wherein a group of Graphic Designers examine the line between fine art and computer generated art. You've either seen/read/heard about their work or had a white wine spritzer inside of their gallery during many-a-opening night. Our neighborhood is full of influential movers and makers of the arts—here's a roundup of who you should know to get you started as you navigate the madness. 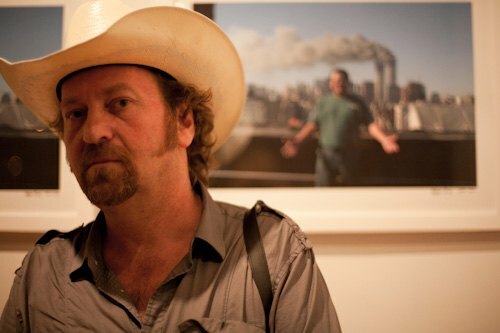 “A special era in New York," is how artist and Bushwick Art Crit Group founder Christopher Stout describes Bushwick. 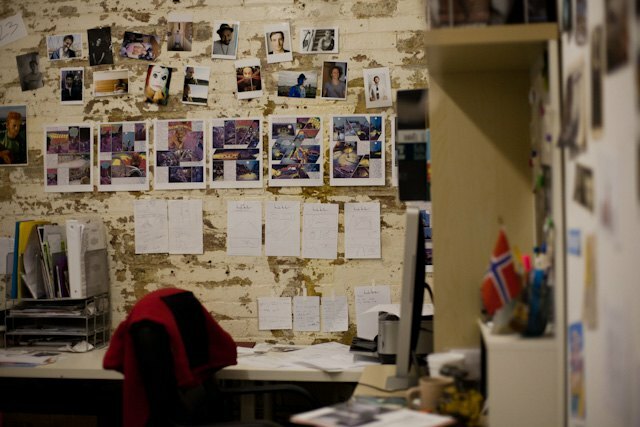 His studio is located inside Brooklyn Fireproof East (BFPE) where he holds monthly critique sessions that bring artists living or working in the neighborhood together to present their work. 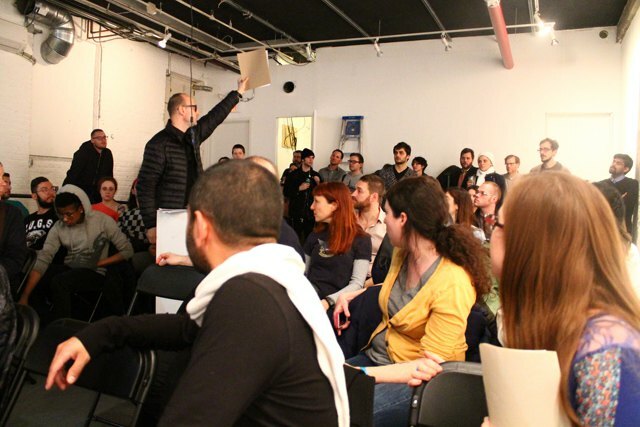 This non-profit also includes leadership and curatorial practice from BACG artists Drew Van Diest, Eric Gotshall, Dan Plaxe and Kelsey Schwetz, with group-run events from book fairs to pop-up shows, participation in Bushwick Open Studios and local benefits. 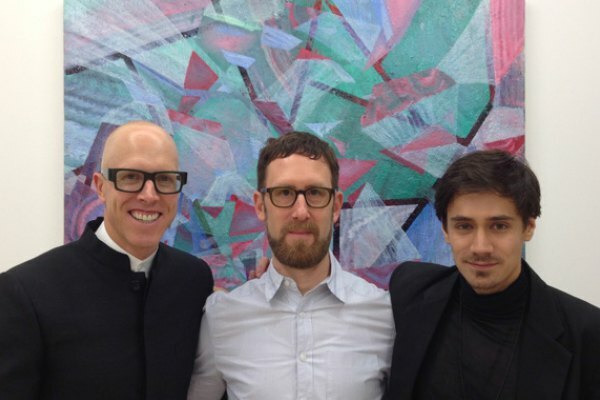 Christopher recently took the team to Echo Art Fair and is now prepping for this year’s Art Basel in Miami. Check out their Indiegogo campaign! Get to know the group and hear local artists speak at the monthly crit series, held on the third Wednesday of each month inside the BFPE gallery! Curator and art enthusiast Jason Andrew runs his home gallery and non-profit Norte Maar (which just celebrated 10 years of existence) as well as Outlet gallery and Beat Nite, a late night gallery hop where Bushwick art spaces stay open late. Get ready because this year’s 11th edition is coming up on Friday, October 24 and will feature a special edition for Beat Nite: Exchange Rates as the galleries host an international exchange of galleries and artists from London, Paris, Beijing and beyond. 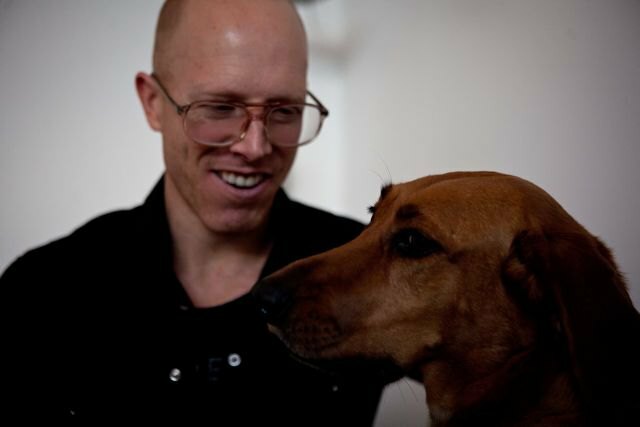 Jason has partnered with Arts In Bushwick to become a hub year after year for Bushwick Open Studios, as well as organizing the non-profit Norte Maar for Collaborative Projects in the Arts and mounting exhibitions four times a year or more in his home gallery. During this year’s Beat Nite you’ll be able to take a peak into the space as well as view Jason’s personal collection of work from the Bushwick artist community. 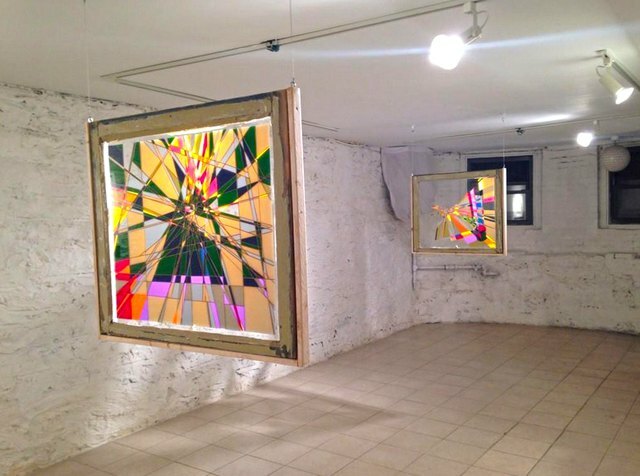 Dubbed Bushwick’s “pioneer photographer,” Rafael Fuchs moved to Bushwick in 2005 and opened Fuchs Projects in 2012 inside of 56 Bogart. Since then he’s been documenting the people, places and the spirit that make up the neighborhood, and recording history during photoshoots for Bushwick Yearbook: Bushwick Forever. His recent shows "100 Polaroids From The Turn of the Millennium," “Up Close and Personal” and “Landlords” have brought in journalists, art critics and other artists from all over New York. Earlier this summer Fuchs Projects hosted a photo portfolio review inside the studio/gallery space, and plans to host two UK-based artist projects during this year's Beat Nite: Exchange Rates in October. 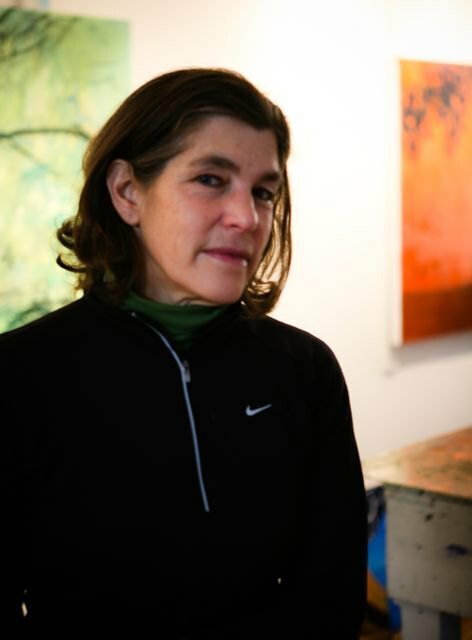 Community activist and local artist Deborah Brown moved Storefront Bushwick over to Storefront Ten Eyck in 2013, a vast space set among the Bushwick/East Williamsburg Industrial Park area. 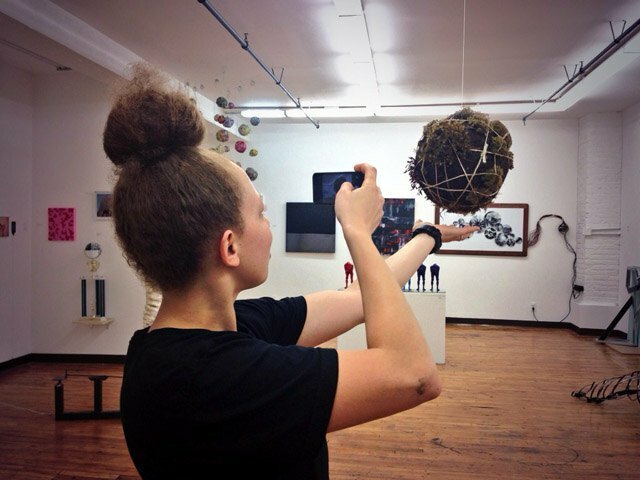 The venue's four rooms plus front project space allows for multiple shows to be exhibited at once, and includes her own studio space as well. If you were at the 2014 Arts in Bushwick Benefit back in May, you witnessed over 200 local artists under one roof at Storefront Ten Eyck, and if you visited during BOS you probably caught Hans van Meeuwen's show "A Civilized World." Deborah Brown also serves on the board of NURTUREart and is represented in New York by Lesley Heller Workspace. Deborah Brown's artistic force is felt throughout Bushwick as she depicts the industrial landscape among her works and acts as a driving force behind community involvement and neighborhood-wide events. Multimedia artist and curator Julia Sinelnikova has been based in Bushwick for about six years, truly immersing herself in the arts and culture scene here, as well as exhibiting internationally. Earlier this year she completed a residency in Finland and we recently saw her as "The Oracle" at Vector Gallery in the Lower East Side. 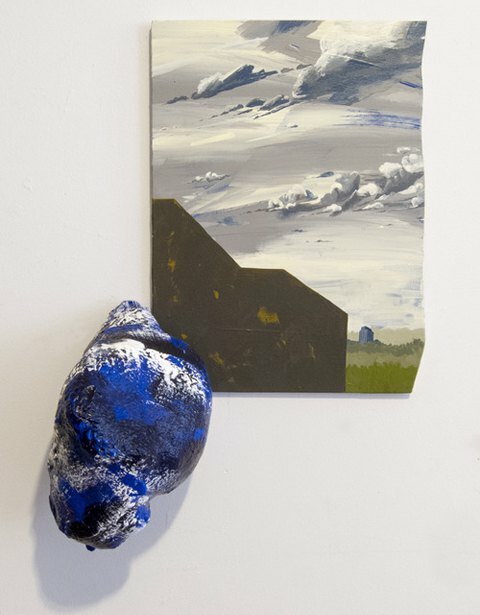 A major project for Julia this past year was putting on Arts In Bushwick's expansive group show "Seeking Space" inside The Active Space Gallery during Bushwick Open Studios, curating alongside artist and designer Jillian Salik. In the midst of it all Julia is crafting her Oracle Wares jewelry line out of her studio in the Livestream Building, and is already prepping for next year's Bushwick Open Studios event. 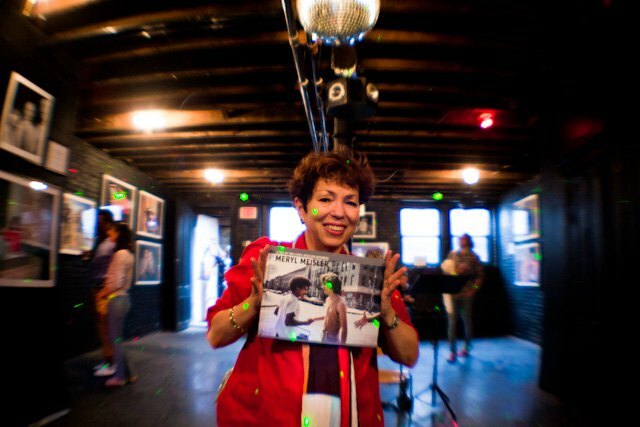 With a humorous and compassionate touch, Meryl Meisler documents the Bushwick scene of the 70's and 80's in her photography book A Tale of Two Cities: Disco Era Bushwick. This book is a can't-miss in order to see the neighborhood's past and to understand its present. Produced by Bizarre Publishing and accompanied by a solo show of Meryl's work inside Bizarre's Black Box Gallery (catch it through October 4!) this story documents the area's character and scenery juxtaposed with Manhattan's thriving disco era scene. The New York Times and The New Yorker loved it just as much as we did. You can catch Meryl on her book tour (see upcoming dates on her website), or an a walking history tour of Bushwick, which usually occurs in the Summertime. Art history is going down in these studio spaces, from established warehouse spaces like 56 Bogart and 17-17 Troutman, to intimate spaces at Wayferers and newcomer Good Work Gallery's artist studios and collective space. Some time during a Bushwick Art Crit session inside BFPE's gallery, you should take the time to explore the artist studios (or set up a time with the artists) on floors one, two and three. 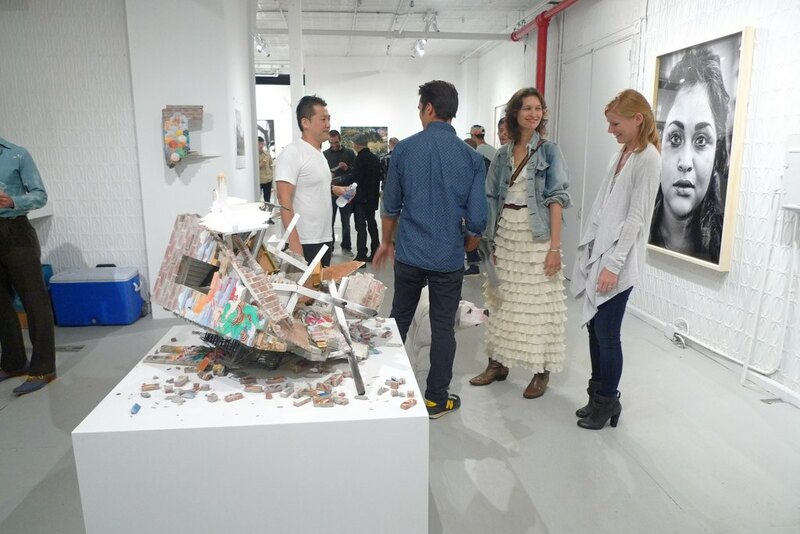 There were dozens of artists showing their current work during this year's Bushwick Open Studios, where we saw Cibele Vieira's latest works, Mike Serafino's exoplanet landscapes and Jaynie Crimmins' shredded junk mail all under this creative roof. While the first floor is vibing away during weekend openings, the artists upstairs are working away at their craft, putting on photo shoots, sculpting new works and making the most of their materials. Bushwick Daily caught up with several 56 Bogart-based artists during Bushwick Open Studios to find out what they can't live without inside their studios, and found a range of clues from Akinori Matsumoto's bamboo inspirations to Jonathan Chapline's most used tool. 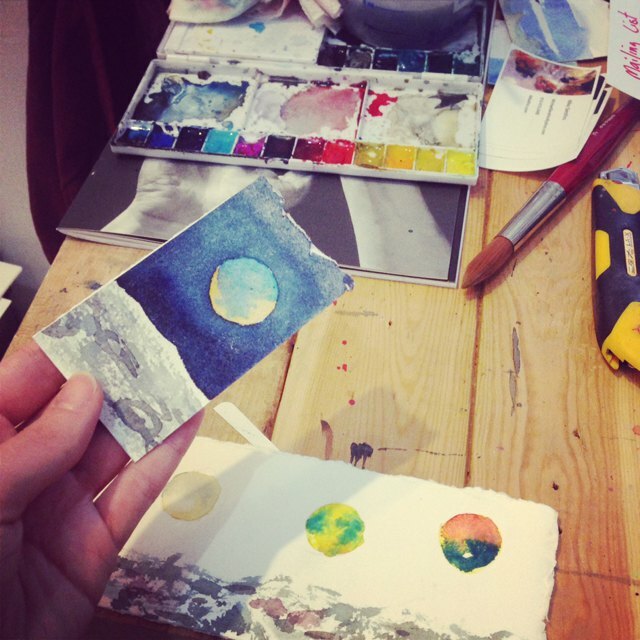 If you connect with an artist inside one of these spaces, definitely plan a studio visit! No pun intended here, but this place is pretty active in the Bushwick art scene. We've already told you about the gallery shows going on here and further below we'll tell you a bit about how to submit. But the main point is this space hold numerous artist studios! We've seen dynamic transformatios inside Rebecca Norton's second floor studio and ogled the bright crystalline paint streaks inside Christian Berman's studio on the third floor. Home to 37 private artist studios, The Active Space is a bustling spot Bushwick Open Studios and a bourgeoning hub for inspiration and artistic ventures. A source for many awesome artist studios but also somewhat a source for controversy (earlier this year the galleries were kicked out) 17-17 Troutman has been a well-known artist heaven along the Bushwick-Ridgewood border for some time now. Serving as a major hub for studio visits during Bushwick Open Studios, you'll find many of your artist neighbors working here. We caught Ivan Stojakovic's live sculptures in "Urban Wild" at Honey Ramka and saw Max Steiner's designs featured in a Bushwick-based photographer's fashion blog in a photoshoot inspired by one of his custom-designed headpieces. 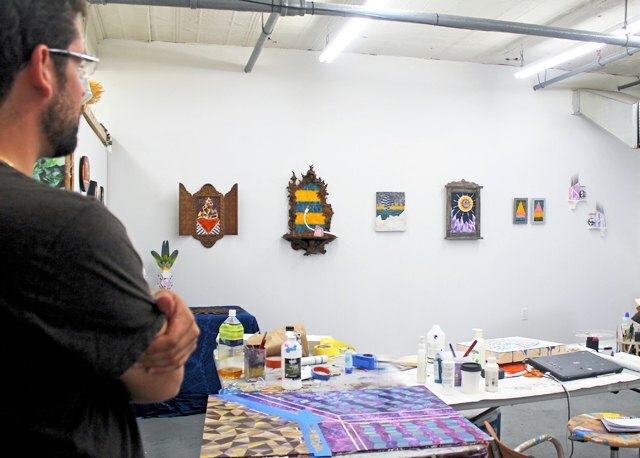 Situated on the Bushwick-BedStuy border, Brooklyn Wayfarers hosts private and shared studio spaces behind the gallery. Space can be applied for through the studio program and if accepted, utilized for the year and lead to participation in the gallery's group shows. A growing hub for artist studios is newcomer Brooklyn Brush Studios (BBS), offering amenities from the REmerge art space at nearby 44 Stewart Avenue, and home to Parenthesis Art Space. BBS seeks to foster collaboration among the studio residents through utilizing the common gallery space by hosting POP-UP Communal Studio projects and live auctions. Over the summer Bushwick Daily caught up with video artist Matthew Caron, whose studio inside BBS provides a setting for his audio-video installations and transportive video worlds. There are galleries sprinkled throughout the neighborhood that take submissions for both artists and curators throughout the year. Check them out below! NURTUREart holds eight exhibitions a year with a call for curators and artists and interested candidates can start a profile on the registry. If you caught some of their recent shows, like “Videorover: Season 8” or “Yasi Ghanbari: Yo! I’m Your C.E.O.,” you saw these submissions in action ("Videorover: Season 9" is holding call for entries through November). Coming up for their fall season, NURTUREart is seeking a curator for their education program Project Curate in anticipation of a 2015 exhibition opening early next summer. 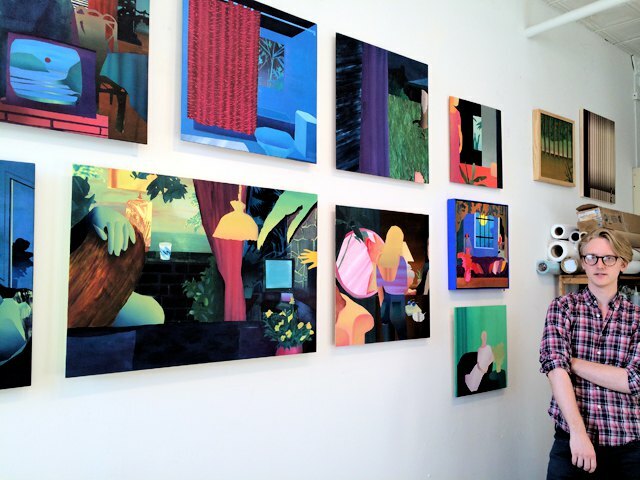 If you caught the “Seeking Space” exhibition during the 2014 Bushwick Open Studios, you witnessed works by over 60 New York artists who submitted to an open call by Arts In Bushwick. 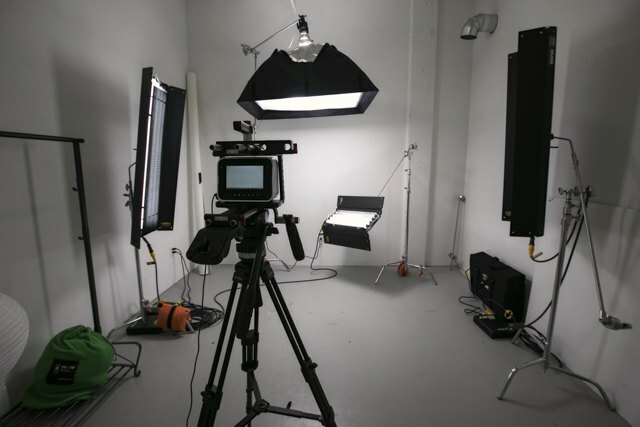 Watch for next year’s open call in the Spring of 2015! Part of The Active Space arts center, which holds three floors of private studios, this first floor gallery provides working artists with a place to exhibit their work through a juried application and review process, and the opportunity to participate in BOS and other gallery events throughout the year. Rising amid the Bushwick art scene is Armature Art Space, and artist-run non-profit arts venue that holds open calls and promotes artists working in traditional mediums. This year they've adorned the gallery walls with Chicago-based Peter Le Grand’s infrared film photographs in “Dressed In Light” in April and Painter Milo Wissig’s “Rental Havens” in July. Currently on view is a must-see exhibition—Painter Rebecca Norton’s “Cool Translations” will wonder and excite with fleeting colors abstracted across vinyl on glass. Coming up in October is their open call for the Second Annual Halloween Group Show. Additionally, local artists are encouraged to participate and submit for upcoming group shows. TSA New York runs an annual “Flatfile Program” for submissions, as well as a new open call initiative. Though submissions for the 2014-2015 program are closed, check back for upcoming calls, events and shows at this space. The current show “Rachel Gorchev: Making Strange” runs through October 19, then the gallery preps for Exchange Rates the weekend of October 24, followed by a new exhibition curated by Yin Ho which opens Halloween night and runs through mid-December.